The Virginia Child support calculator can be accessed online. It allows you to be aware of how you need to give up for child support. The calculator analyzes your gross income plus the number of children you have for child support to arrive at a figure. 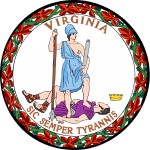 Each parent in Virginia liable for child support can access it regardless of where they are. Step 1: Access and download the document below. Step 2: Fill the details of your income, children plus make adjustments to determine the share of responsibility for each parent. Use the instructions or guidelines contained in the document below to determine how much you are required to pay depending on your gross income and number of children.